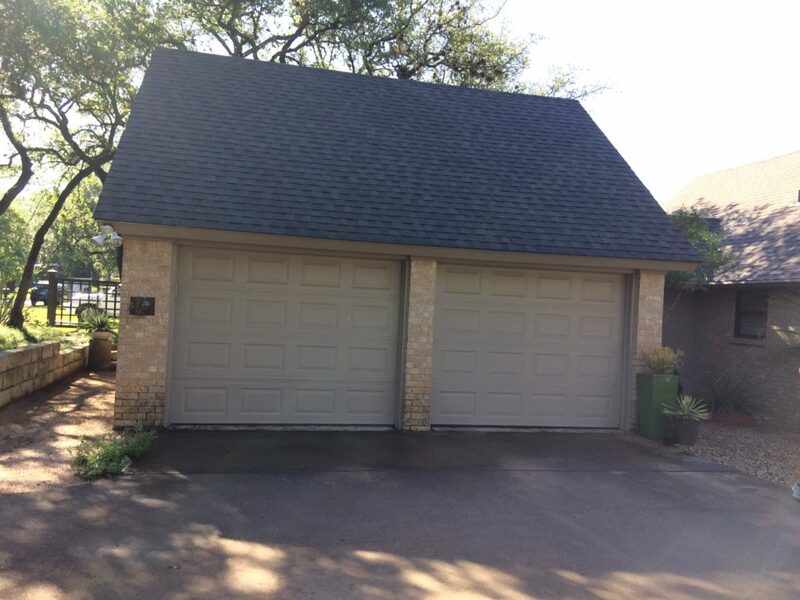 I’ve written before about the garden challenges of garage-forward homes—sometimes called “snout houses.” While it’s not usually possible to disguise that big ‘ole garage sitting in front of your house, I think there are many opportunities to make garages less …. ugly. What’s so great about this garage—it’s a garden! 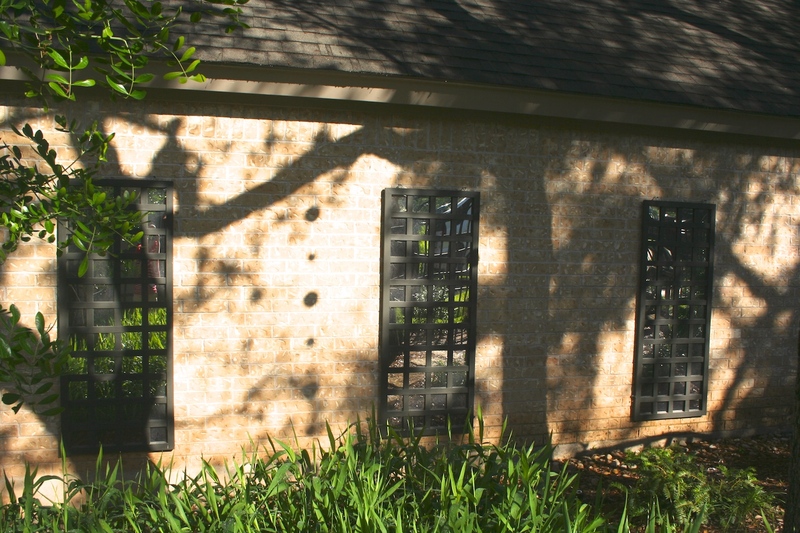 The portion of the garage facing the street has windows, which makes it look like part of the house, and it is surrounded by plants. 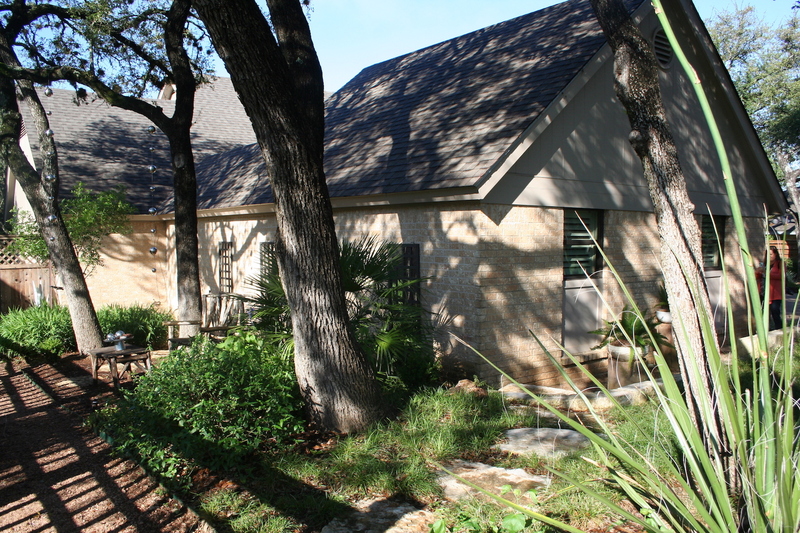 A path runs along the back of the garage, leading to a gate and Pam’s charming and oh-so comfortable backyard. She’s planted several trees to provide shade and in a niche between the trees, she’s placed a bench. Behind the bench, you see two of four framed mirrors with matching panes that add light and decoration to the house. This gives the effect of a gallery and creates a ton of interest on what could have been a long, blank wall of stone. Throughout the garden, she has low, green plantings, softening the brick. The back of the garage was a play of dark and light during my morning visit to the garden. 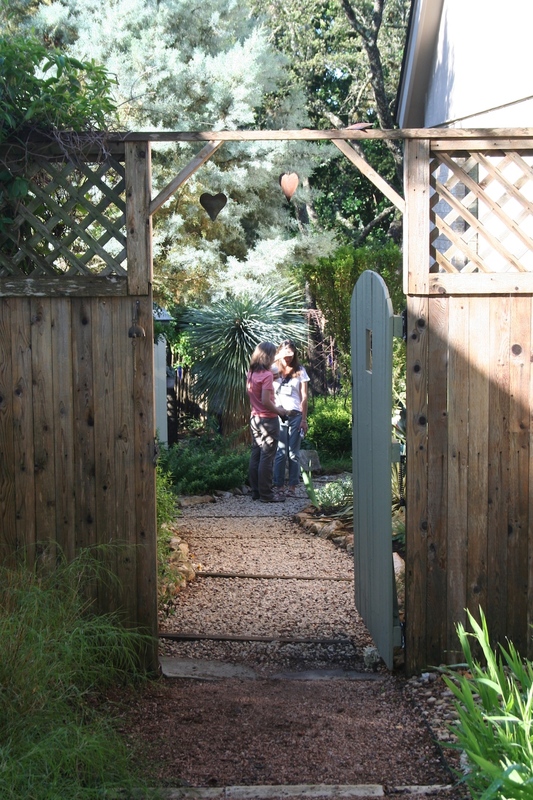 The side yard ends with this rustic gate, inviting visitors into the backyard. 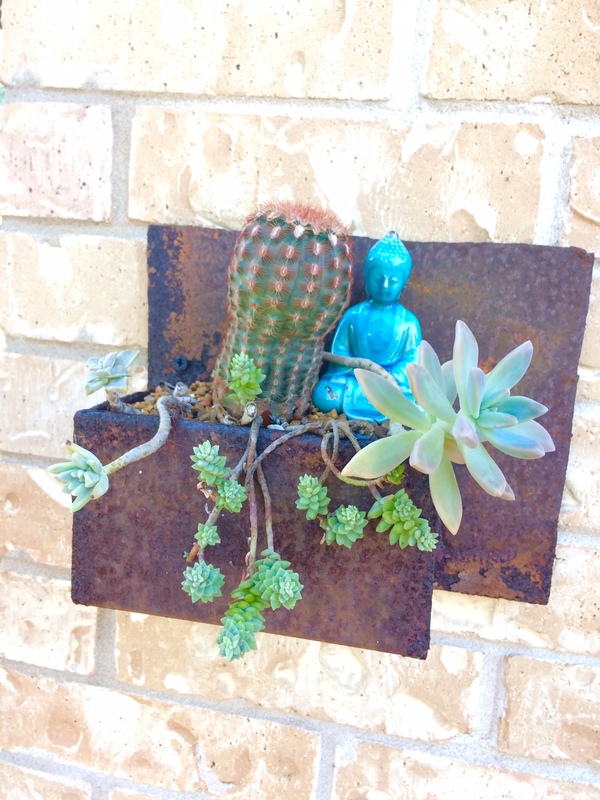 On the driveway side of the garage, Pam added pots and a whimsical wall decoration. The doors face a large planting area, giving visitors more sights to see than the garage. It’s a masterful piece of distraction. Well, what the heck, this actually is a garage. This small planting is attached to one side of the garage. What are your favorite strategies for landscaping around your snout house? 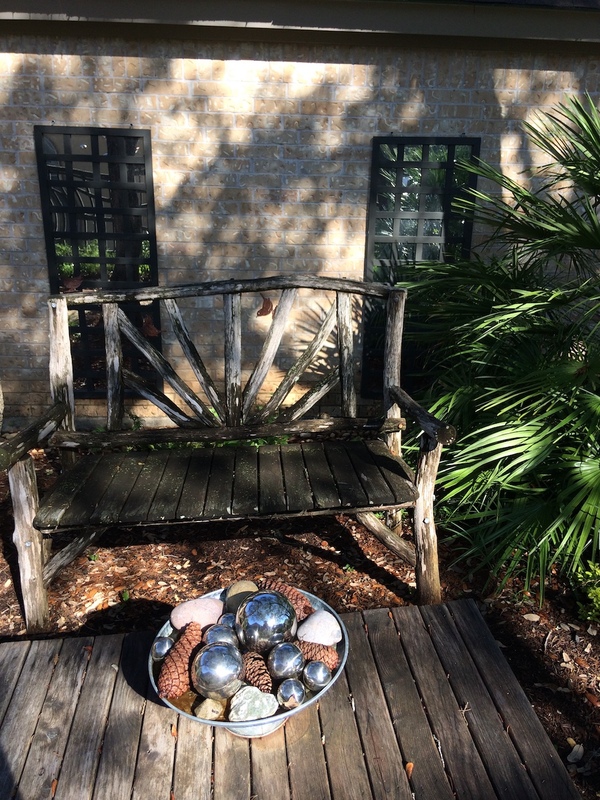 Mary, thanks for the lovely post about my garden! You are indeed correct that I’ve worked on disguises and distractions for the garage. A happy result, of course, is that doing so makes more garden to enjoy. She’s such a good designer that I never noticed this was a snout garage! Loved this post. Your garden was one of the highlights of the tour, Pam! Thanks for sharing it with us. The term ‘snout house’ is new to me — and what an apt description it is. I’ve seen many photos of Pam’s house and would never have known that one end of it was a garage. As you say, a masterful bit of distraction.